Another school year has begun and many of us are facing new beginnings. You may be a new teacher, a veteran teacher in a new position, or just dealing with a number of things a new school year brings. Each new school year also seems to bring a bombardment of new technology to learn. This alone is often overwhelming to me. I try to think of the new school year as an opportunity to face new challenges. My challenge, as your president, is to help guide your LMEA to meet your needs as a music educator. This past spring, after careful consideration, your LMEA Board voted to restructure our Music Assessment system by eliminating our State Assessment. This was a difficult decision that has been made in a number of other states. While I know this decision has not been popular, it was felt that with the expansion of mandatory state testing it was necessary. The LMEA Board has also approved a proposal to allow members the option of membership in LMEA without the mandatory membership in the National Association of Music Education (NAfME). The LMEA portion of your NAfME membership is currently $25.00. The proposal will increase your LMEA membership cost but would encompass things like your current conference registration. This change will require a vote by the entire membership and more information will be available as the board moves forward. Finally, I am honored and humbled by the opportunity to serve as the President of the LMEA Board. I welcome your input concerning anything LMEA related, or music education in general. Thank you for my new beginning and I wish you all a successful school year. I trust that your fall semester has begun with wonderful opportunities planned. We treasure awesome memories from last year but now we move on into new and promising experiences in music for ourselves and our students. I encourage you to pre-register so that your name badge will be prepared for pick up when you arrive. The registration table will be located in the Hotel Atrium. As Past-President, it will be a pleasure to serve you for our all-state conference registration. I look forward to seeing each of you in November. For further information on our conference registration processes, please click on the link below. Welcome to the new school year. As a member of LMEA for the past 45 years, I can safely say that this will be a unique year. Every year brings changes, challenges, and improvements. 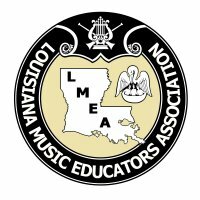 In my September 2018 editorial for the LOUISIANA MUSISIAN, I shared a few things I've learned over the years as an LMEA member and as editor for our association. Click below to view the editorial. Best of luck throughout the 2018-2019 school year! Conductors for the 2018 LMEA All-State Choirs will be Mack Wilberg of The Mormon Tabernacle Choir for the Concert Mixed Choir and John Parker, noted composer, for the Women's Chorale. For information concerning the All-State audition process, please click on the links below. Conductors for the 2018 LMEA All-State Bands will be Stephen D. Davis, from the University of Missouri-Kansas City Conservatory for Music and Dance, for the Symphonic Band and Catherine Rand, from the University of Southern Mississippi, for the Concert band. Conductor for the 2018 LMEA All-State Jazz Ensemble will be Ronald Carter, the former director of the world-renowned Northern Illinois University (NIU) Jazz Ensemble. The NAfME Collegiate Summit (November 17-19, 2018) is a collaborative effort among the Louisiana Music Educators Association, university faculty, K-12 music educators, and retired music teachers to focus on the needs of undergraduate music education majors and beginning music teachers. The 2018 NAfME Collegiate Summit has a special focus on Technology in the Music Classroom during Sunday’s Sessions. The Summit Program provides a variety of professional development sessions for college students, and beginning and veteran music teachers. The 2018 sessions are open to collegiate members as well as practicing music teachers/directors at this year’s LMEA Conference. Please click on the links below, for the 2018 LMEA Conference "Call for Research" and for more information on the Collegiate Summit. Our featured clinicians for the 2018 LMEA Professional Development Conference will be Dr. Susan Brumfield and Dr. Andy Paney. By popular demand, both Lamar Robertson and Jarrod Richey will be returning to provide clinics. For more updates on our Elementary Division, please click on the link below.